When it comes to football grounds, there are certain individuals in terms of both their writing and their photography that would be considered experts in the field. 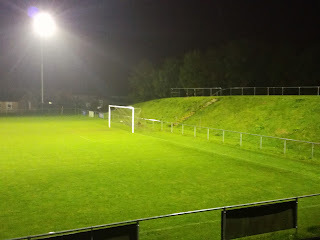 Simon Inglis for example wrote the fabulous ‘Football Grounds of England & Wales’ and has since followed it up with further works in more recent years, whereas Kerry Miller produced the simply superb ‘History of Non League Football Grounds’. Tony Williams will always be regarded as a huge advocate of the game and indeed the football grounds of non-league football, not only via his directories, but also with his two ground breaking publications in the Eighties and Nineties that were effectively ground guides. Many others have written since, but in the photographic form, one man who is known across the land for his superb football related images is Stuart Roy Clarke and his ‘Homes of Football’ collection. All of the aforementioned have become widely known for their work, but what they have also done is go to publication or at least display their work, but, one man, in my humble opinion stands out as one of the greatest photographers and indeed recorders of the football ground, and that man is Bob Lilliman. You won’t find Bob if you Google him, in fact the only way you can really see his work is to either subscribe to ‘Groundtastic’ magazine, or follow the magazine on Twitter. You see, Bob has been photographing football grounds for over 50 years, and he claims to have over 8000 images from all across the UK. Many of the images are of long gone stadiums, in fact, in some cases he may be the only person who actually has photographic material of some of the old grounds. Bob stores the bulk of his photo’s on slides, in boxes at his home, he doesn’t have a website, he doesn’t have a gallery, he certainly isn’t the kind of man who sets out to get publicity for his work, it is simply a private collection he’s built over the years. I first came across Bob via ‘Groundtastic’ and the things that struck me was how travelled he was, particularly in the early Seventies. Now one thing Bob has done is helped the chaps at the magazine by lending them his images upon request, and for that I am sure they owe him a huge debt of gratitude, because a large slice of the work in the magazine is about old stadiums, and without the images, they simply wouldn’t work as historical pieces. I’ve never met Bob before, I’ve seen him and I know who he is, but I’ve never had a conversation with him, although I have wanted to do so for some time. I was sat in the George Inn, pre match in Tideswell, drinking a pint when I spotted a chap a few seats away from me reading the previous weeks Non-League Paper, I looked up to see who it was, it was indeed Bob Lilliman. I knew he’d be going to the game, and saw it as my opportunity, he was on his own, so was I, it was time to try and get to meet the man. When I arrived at the ground, Bob was already in the area where teas and such like are served, we acknowledged each other and started conversation, a conversation that lasted pretty much throughout the entire game. We talked football, we talked about the old grounds of the Derbyshire and Nottinghamshire area, we talked about his photographic archive, and we talked about his travels. 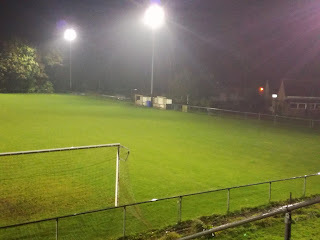 He was a shy yet fascinating man, and also so unassuming, it was as though what he had done was nothing remarkable, yet if someone like an Inglis, a Miller or a Williams were about to start out producing a whole new work on non-league grounds, Bob would be the starting point for that in my opinion. Not only that, I dropped in a couple of grounds I’d love to see old photographs of (Coventry Sporting and Ripley Town), he told me he had images of both, took my email address and promised to send me copies on. He’d picked a great ground at Tideswell to photograph, despite the incessant rain. 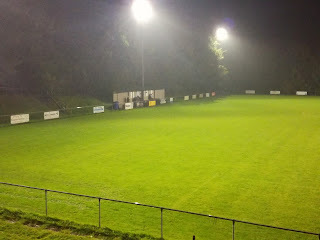 Promoted to the Central Midlands League at the start of last season from the Hope Valley League, the ground is superb. A small seated and terraced stand sits on the half way line opposite the dugouts, while to the right is a huge grass bank that is railed across the top and gives amazing views of not only the playing field but also of the surrounding Peak District scenery. It’s fully railed and it’s floodlit. Many will ask how a village club playing in what is effectively a Step 8 league got a ground like this, well they received a grant of well over a million pounds to help create what is effectively a large sports complex with a cricket field and tennis courts adjacent. 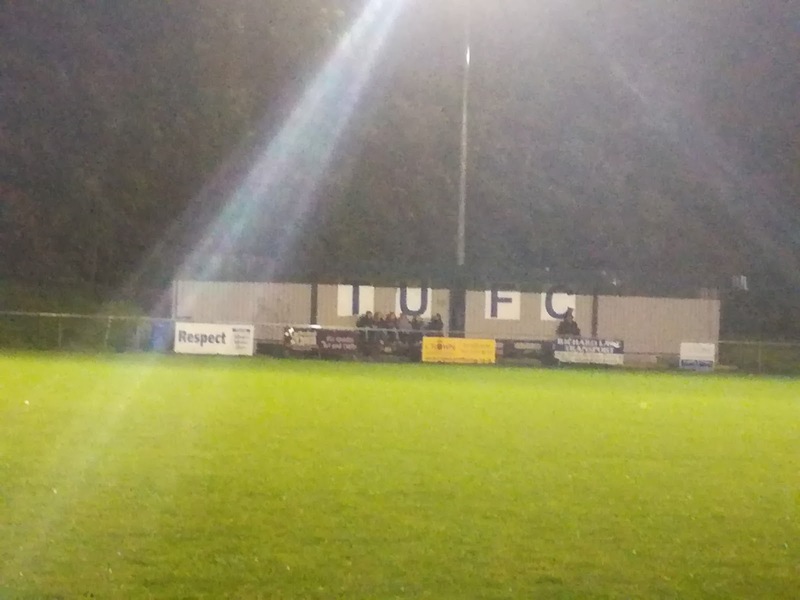 They were playing what was effectively the youth side of Retford United and recorded a comfortable 6-0 victory against a team that never gave up, but at the same time never looked like getting anything from the game. 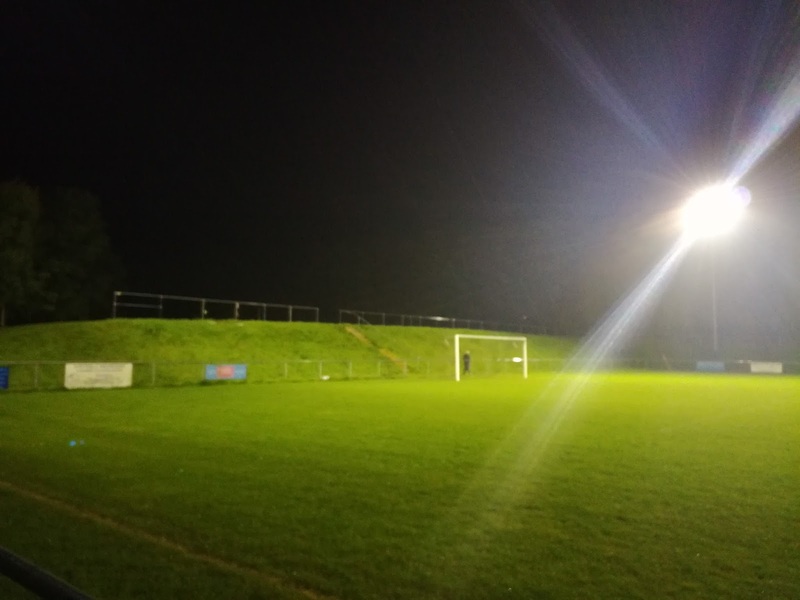 This was the third time now I’d seen a game under lights at Tidza (as the locals call it), and I never tire of the place one bit. It was Bob’s first visit, I suspect he may not venture to it again, living in London as he does, he was driving back that night. I’m sure the photographs he took would have been fantastic, it’s just a shame only a select few might get to see them. Maybe one day, someone can convince him to publish them, I’d be at the front of the queue when that happens, rest assured.